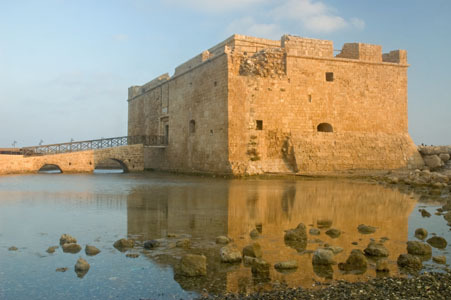 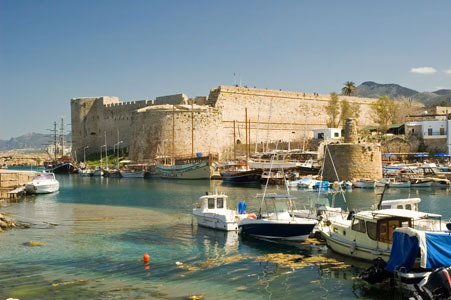 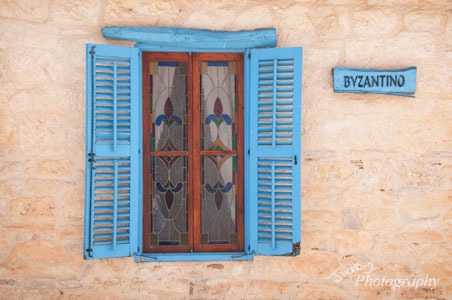 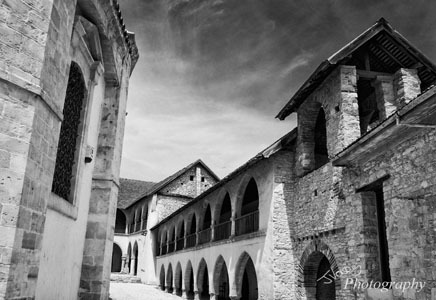 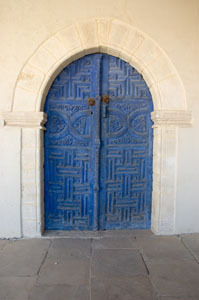 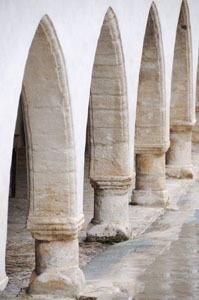 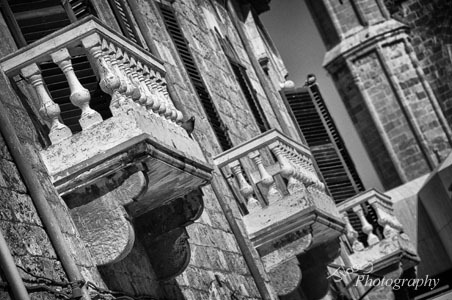 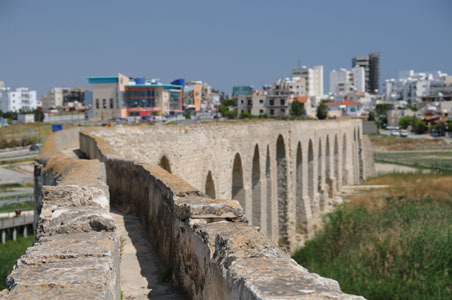 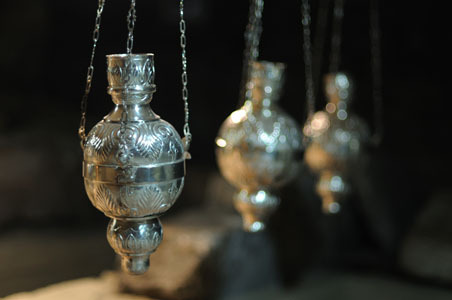 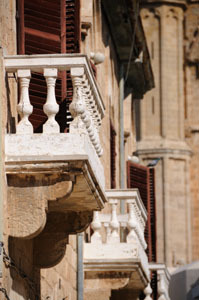 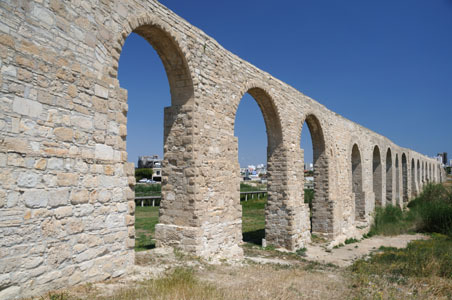 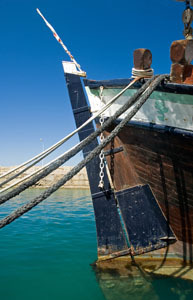 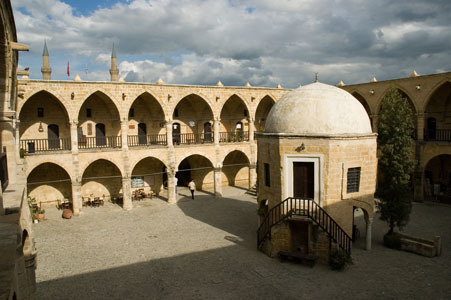 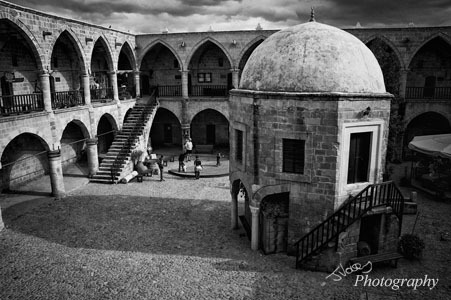 The Buyuk Han (Big Inn), Nicosia, Northern Cyprus. 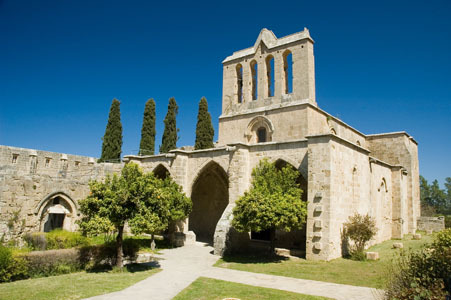 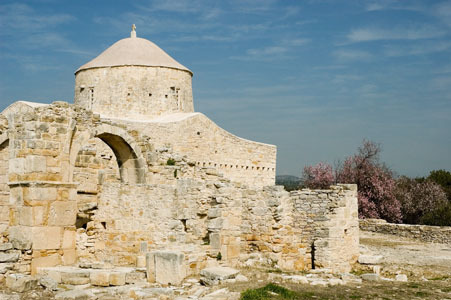 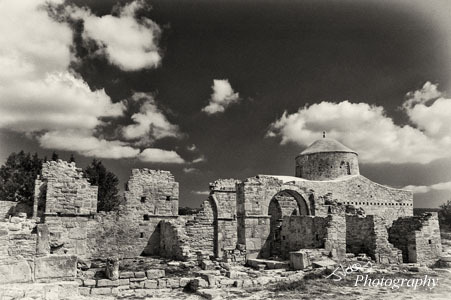 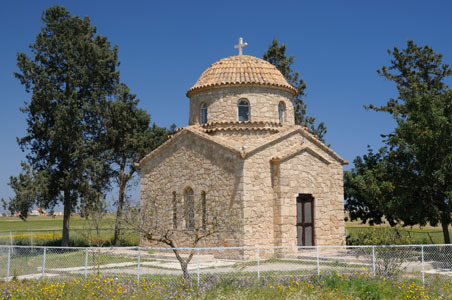 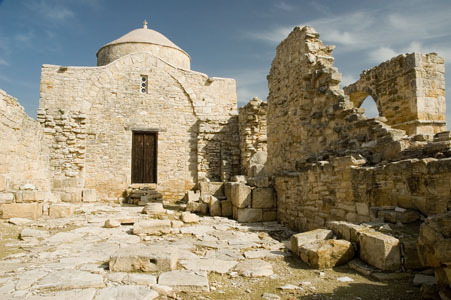 An Orthodox Church surrounded by ruins, Anogyra, Cyprus. 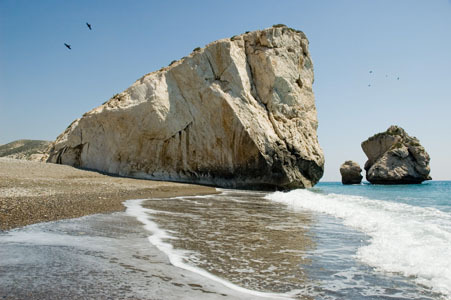 Aphrodite's Rock, Cyprus. 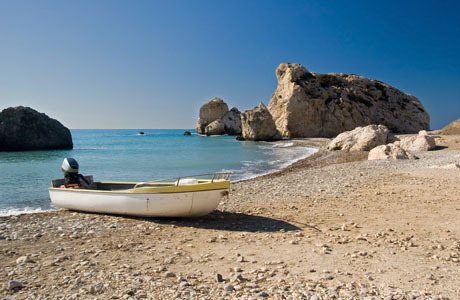 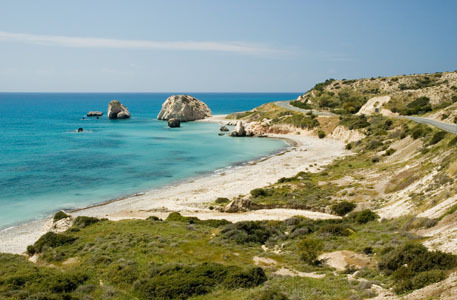 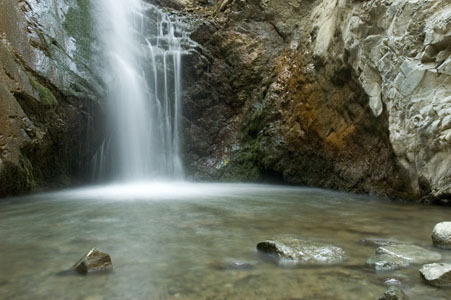 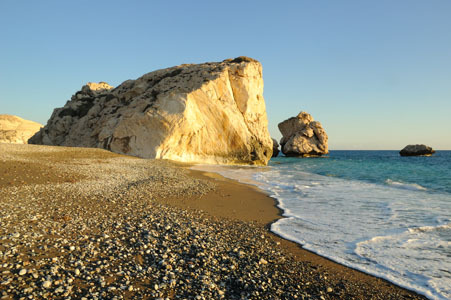 Greek legend has it that Aphrodite, goddess of beauty was born of of the surf at this rock. 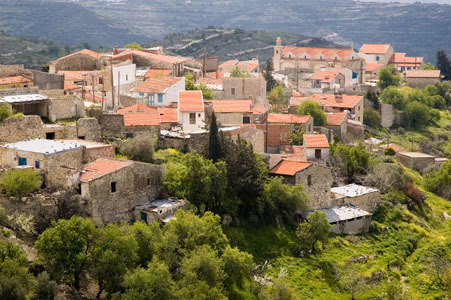 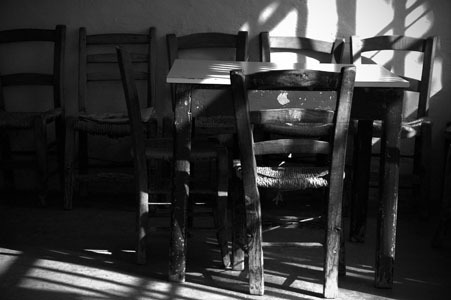 Omodhos Village in the Trodos Mountains, Cyprus. 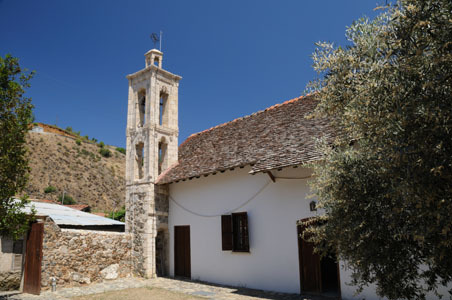 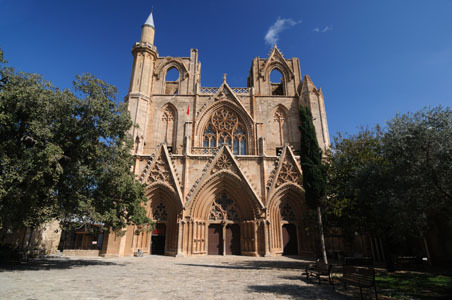 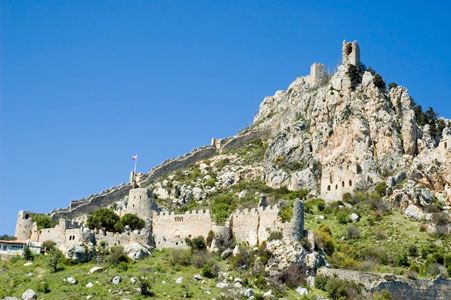 Known for its monastery. 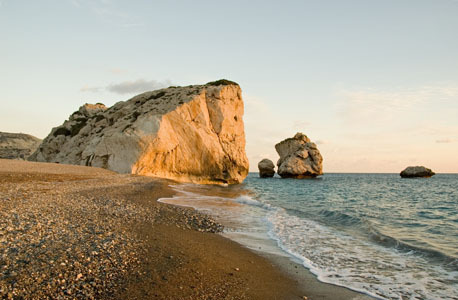 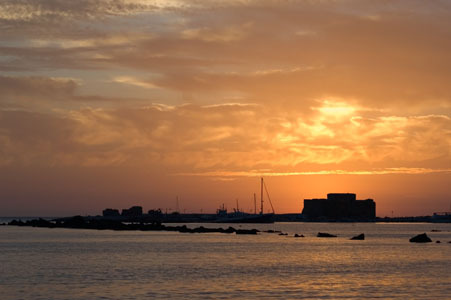 Aphrodite's Rock, Cyprus at sunset. 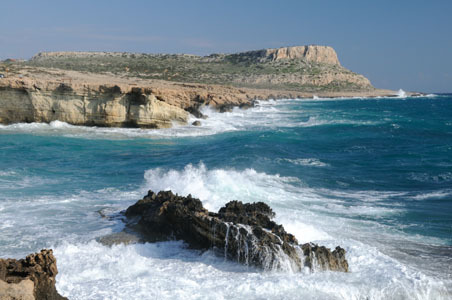 Greek legend has it that Aphrodite, goddess of beauty was born of of the surf at this rock. 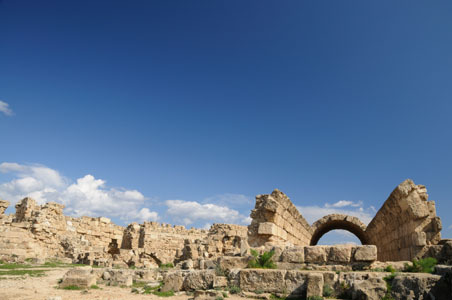 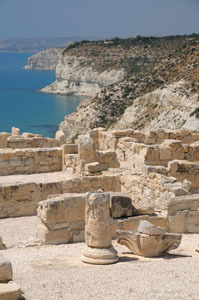 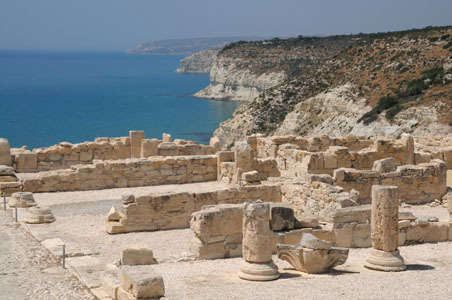 Ruins of Kourion (Curium) overlooking Mediterranean, Cyprus. 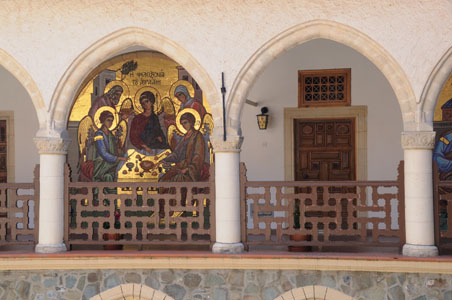 Religious Mosaics decorating the walls of Kykkos Orthodox Monastery, which was founded at the end of the 11th century. 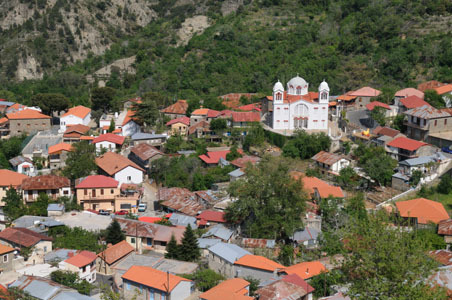 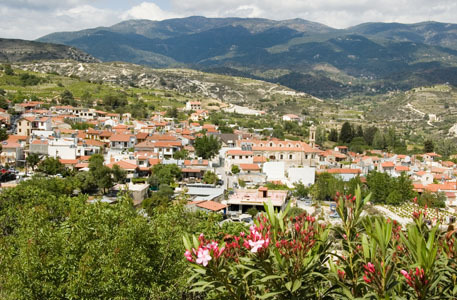 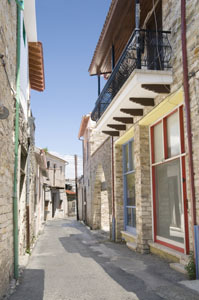 Pedoulas Village, High in the Troodos Mountains (1100m), Cyprus.